Durable wood-effect furniture that requires no maintenance. 2 year warranty included! 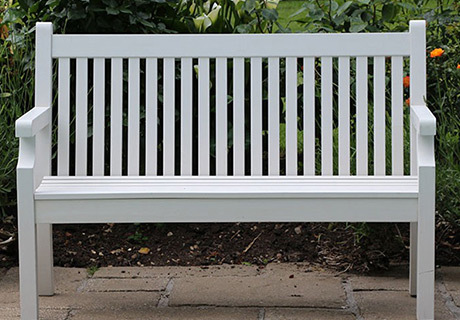 The classic Winawood bench is a wonderful alternative to a wooden bench, as Winawood requires no maintenance! That’s right, no oiling, no need to cover it, and no need to struggle lifting it inside over the winter. Leave it outside all year round! Dine al fresco with a functional and comfortable dining set from Winawood. Available in both square sets with 4 chairs and rectangular sets with 2 benches and 2 chairs, they come in a range of colours to suit any garden. They require no maintenance, and can be left outside uncovered all year long. Winawood is a new brand of garden furniture from Innovators International, that focused on filling the gap made by the lack of interest in wood. This alternative is durable and stylish, looking and feeling exactly like wood. The natural grain effect feel comes from the compression process of the plastics, leaving a rough finish that feels very natural. You can read more Winawood reviews here. All Winawood products come complete with a 2 year warranty as standard, automatically activated once you purchase the product. This means that if the material defects within the 2 years you’re entitled to a replacement bench. Composite garden furniture simply means it’s an artificial combination of plastics, usually compressed under extreme pressures. 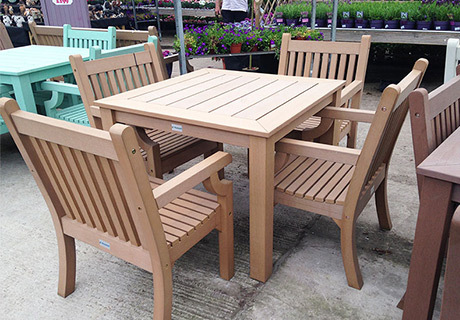 The most popular and well known type of composite garden furniture is the brand Winawood.